No matter what anyone says, diversity is important, and being exposed to all sorts of people makes for a more well-rounded college experience. Diversity means having a campus represented by differing races, cultures, gender identities, thoughts, perspectives, financial backgrounds and futures. These are colleges where diversity is a top priority, which doesn’t mean they’re perfect or that their work is done—not even close. These schools, however, have taken strides to create diverse campuses. More importantly, they’re schools where students are holding administrations accountable. UChicago has always been known for its dedication to diversity. It was the first college to give a Ph.D. to a black woman, to create the first scholarship for minority populations in business and to hold the city's first gay liberation organization. Such longstanding diversity initiatives create a campus climate where faculty and students alike work to keep up with the standards they’ve set. Events celebrating diversity are held year round. Most notable are the lunchtime diversity dialogues, which happen monthly and are open to the public. Everyone gathers to discuss leadership, health and diversity and decide what UChicago can do to increase its awareness and inclusivity––because obviously diversity makes lunch even tastier. A campus climate survey taken in spring 2016 revealed that students feel happy with the diversity on their campus, but they always welcome more. Now that’s something we like to hear! If you're looking for a concentration in diversity, Brown is the place for you. The Ivy has 14 dedicated centers for diversity, not even including student clubs. The university challenges students to take classes that will allow them to explore diverse perspectives—from religion to sexuality. The student body also has a long history of activism surrounding diversity—earlier this year, the university finally made the decision to formally change Columbus Day to Indigenous People’s Day after students protested. “Obviously Brown faces a lot of issues because it's an older, more established institution with a lot of privileged students and faculty,” says Claire Rhee, a recent grad. “But there are diversity and inclusion committees made up of students and staff in each department to discuss, oversee and actuate better inclusiveness.” Even though the university has certainly made missteps, the student body is quick to call them out. President Salovey put forward most of the key diversity initiatives, and it’s refreshing to see a college leader bent on meeting the needs of students. 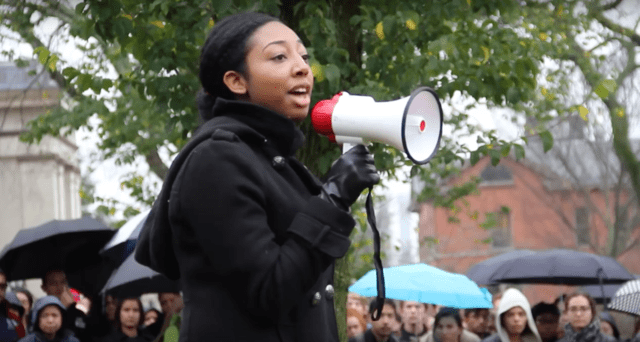 The student newspaper, The Yale Daily News, ran three significant essays on what it’s like to be black at Yale, and the college has officially eliminated use of the word "master" on their campus to refer to the heads of colleges to end slave-related vocabulary. There’s more to be done, but Yale seems to be making the effort. At the University of San Francisco, there are 22 cultural clubs on campus, and an unprecedented representation of ethnic diversity. White, Asian, Latino and black students reflect the diversity of San Francisco itself, and form a community that is naturally aware and encouraging towards all walks of life. Did we mention that USF is also LGBTQ+ friendly? In fact, San Francisco is known to have one of the largest scale pride weeks. Overall the students at this college earn an A+ for being allies and supporters of all communities. In 2015, U.S. News named Rutgers-Newark the most ethnically diverse college in the country. With only a 29.5 percent white population, there is prominent representation from Asian, Latino and black ethnicities. As a bonus, they have established a Commission on Diversity and Transformation to help students engage with each other's unique backgrounds in the classroom and on campus. Rutgers is all about perspective, and these collegiettes are killing it! Rutgers has been a leader for increasing graduation rates among students of diverse backgrounds (which is especially significant for first generation college students) and gives representation in admission to students that often would be ignored at other universities. They even have a chapter of Omega Phi Chi, which is a giant multicultural sorority. Um, when can we join? 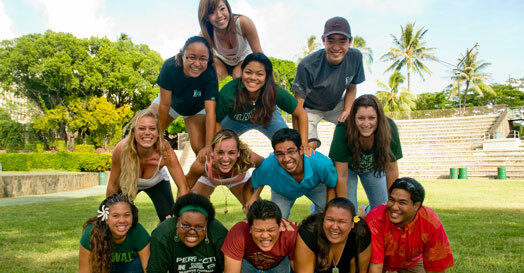 Almost everyone knows that Manoa is one of the top colleges for diversity; after all, Best College Reviews ranked it as one of the nation’s top five colleges for ethnic diversity. Their student demographics are mostly Asian, Caucasian, native Hawaiian or multiracial, and they have a number of elite student-run organizations for diversity. The most notable is SEED IDEAS which has been made open to all University of Hawaii campuses so that everyone can be allies in supporting people of all races, genders, disabilities and religions. In spring, Manoa held a diversity dance concert that featured drag queens, Balinese dance, hula and even ballet. What a show! The Dance and Theater department makes learning about diversity necessary by incorporating many types of cultural performance art styles into the curriculum. This is just one area where students and professors incorporate both small- and large-scale diversity awareness projects into permanent campus culture. These collegiettes make a lasting difference, and we couldn’t be prouder. Penn is nationally known to be one of the most LGBTQ+ friendly schools, giving the campus a population rich in gender and sexual orientation diversity, which is definitely something to take pride in! The Huffington Post describes its student body as "atypical. " Why? Because the range of students on campus shows that diversity is pervasive both in race as well as student interest. Additionally, Penn currently has quite a large diversity fund for eight different projects including expansion of the history of women in education, increasing honors student diversity and hosting influential minority speakers. This campus is welcoming to collegiettes from all walks of life. You haven’t seen diversity until you’ve seen international culture at Andrews. The university is known for its month-long cultural celebrations and extravagant weekend gatherings. To top it all off they have unprecedented racial diversity with representation from students of over 90 countries, making it one of the most ethnically diverse colleges in the US. Contrary to most colleges, improving campus diversity comes naturally to Andrews. They've been fortunate enough to always encourage diversity in the campus population without having to coerce people into caring about it. Andrews is so stellar that it even has sister diversity programs at other colleges across the world that students can participate in, which is pretty much #goals. In the heart of southern California, UCLA is one of the most geographically diverse colleges. This university has an excellent office for Equity, Diversity and Inclusion, whose goals include reducing stereotype threat, countering implicit bias and working to revise university policies to create a more inclusive environment on campus. 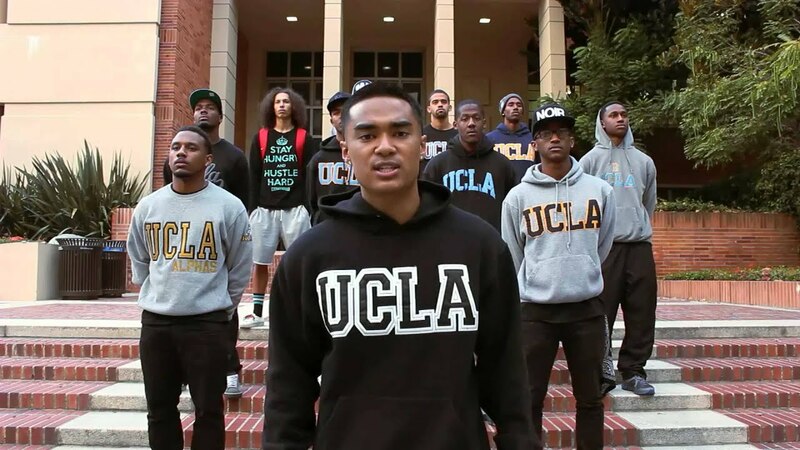 Despite the ban on affirmative action, UCLA is still trying to increase their number of minority students, and in the fall will be welcoming its most diverse freshman class ever. What an accomplishment! We can’t wait to see their welcoming nature spread to other colleges in the area. 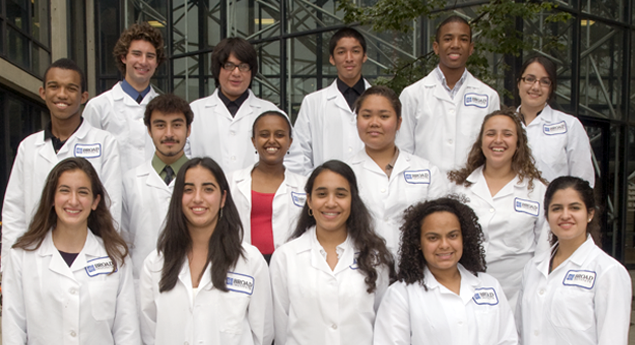 When you hear MIT, you probably just picture a group of brainiacs––not necessarily a diverse group of students. However, MIT combines technology and diversity to produce some very intriguing initiatives. For example, a group of ethnically diverse hackers once spent an entire night editing black history into Wikipedia and essentially cleansing it of whitewash. The MIT Digital Currency Initiative has also set aside $100,000 in diversity scholarships to give to women and underrepresented minorities, allowing them to attend a technology summit in New York. Currently MIT boasts its first female engineering chancellor who is trying to increase the female population in the field of MIT engineering, while also working to prevent sexual misconduct on campus. Overall, the university is working to increase the representation of women in their science and technology programs, which we highly approve of. By combining technology with inclusion efforts, MIT is doing some incredible things with diversity, and in its own unique way!